Stainless steels are alloy steels that contain up to 1.2% carbon and at least 10.5% chromium, with or without other elements. These steels exhibit a wide range of strength levels, excellent corrosion resistance and an aesthetically pleasing appearance. 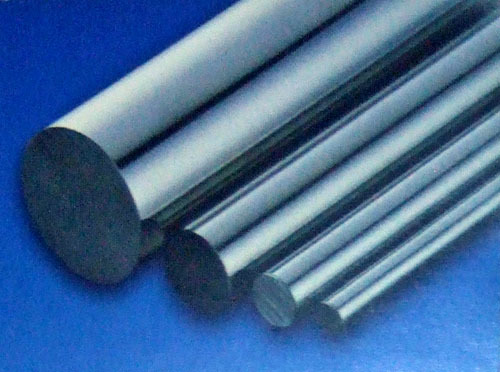 Click here to view the Chemical Compositions of Stainless Steel Bar & Wire. Austenitic stainless steels are stainless steels that have been sufficiently alloyed with nickel, or by a combination of nickel, manganese and nitrogen, to produce an austenitic structure at ambient temperature. Austenitic steels cannot be hardened by heat treatment, but they can be significantly strengthened by cold working. In the annealed condition, austenitic stainless steels are essentially nonmagnetic, although some of them may become slightly magnetic by cold working. Ferritic stainless steels are stainless steels that are used in a condition in which the microstructure consists essentially of ferrite and carbides. These steels cannot be strengthened by heat treatment. However, they can be strengthened moderately by cold working. They are magnetic, have good ductility, and possess good resistance to corrosion and oxidation. Martensitic stainless steels are stainless steels that can be harden by heat-treatment, i.e. they develop a martensitic structure when rapidly cooled from austenitizing temperature. These steels in the hardened tempered condition possess high strength and hardness, fairly good ductibility, adequate toughness and good wear resistance. They also resist corrosion in mild environments. They are magnetic. Precipitation hardening stainless steels are stainless steels which are strengthened by solution treatment and ageing. They possess high strength at ambient and elevated temperatures, relatively good ductility and good corrosion resistance.